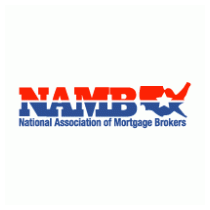 For loans closed since July 1999, lenders are obligated (by federal law) to automatically cancel Private Mortgage Insurance (PMI) when the loan balance gets under 78 percent of the purchase amount � but not when the borrower achieves 22 percent equity. (There are exceptions -like some loans considered 'high risk'.) However, if your equity rises to 20% (no matter what the original purchase price was), you have the legal right to cancel your PMI (for a mortgage loan closed past July 1999). Familiarize yourself with your monthly statements to keep a running total of principal payments. Find out the purchase prices of other homes in your immediate area. You are paying mostly interest if your mortgage closed fewer than 5 years ago, so your principal most likely hasn't been reduced by much. Once your equity has risen to the required twenty percent, you are close to getting rid of your PMI payments, once and for all. First you will let your lender know that you are asking to cancel your PMI. Then you will be required to submit documentation that you have at least 20 percent equity. The best proof there is can be found in a state certified appraisal using form URAR-1004 (Uniform Residential Appraisal Report), required by most lenders before canceling PMI. Contemporary Mortgage Services, Inc can help find out if you can eliminate your PMI. Call us at 407-834-3377.